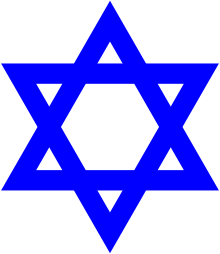 Rabbinic Judaism or Rabbinism (Hebrew: יהדות רבנית‎ Yahadut Rabanit) has been the mainstream form of Judaism since the 6th century CE, after the codification of the Babylonian Talmud. Growing out of Pharisaic Judaism, Rabbinic Judaism is based on the belief that at Mount Sinai, Moses received from God the Written Torah (Pentateuch) in addition to an oral explanation, known as the "Oral Torah," that Moses transmitted to the people. Rabbinic Judaism contrasts with the Sadducees, Karaite Judaism and Samaritanism, which do not recognize the oral law as a divine authority nor the Rabbinic procedures used to interpret Jewish scripture. Although there are now profound differences among Jewish denominations of Rabbinic Judaism with respect to the binding force of halakha (Jewish religious law) and the willingness to challenge preceding interpretations, all identify themselves as coming from the tradition of the oral law and the Rabbinic method of analysis. It is this which distinguishes them as Rabbinic Jews, in comparison to Karaite Judaism. The feature that distinguishes Rabbinic Judaism is the belief in Moses as 'our Rabbi' and the conception that God revealed the Torah in two parts, as both Written and Oral Torah. The Talmud is said to be a codification of the Oral Law, and thereby is upheld to be authoritative according to the Written Law. To demonstrate this position some point to Exodus 18 and Numbers 11 of the Bible to show that Moses appointed elders as judges to govern with him and to judge disputes, imparting to them details and guidance of how to interpret the revelations from God while carrying out their duties. Additionally, all the laws in the Written Torah are recorded only as part of a narrative describing God imparting these laws to Moses and commanding him to transmit them to the Jewish nation. Until the Jewish enlightenment of the late 18th century, and the resulting division of Ashkenazi Jewry into religious movements or denominations, especially in North America and anglophone countries, halakha had the universal status of required religious practice. This remains the prevailing position among Orthodox and Conservative Jews. Reform Jews do not generally treat halakha as binding. ↑ See, Strack, Hermann, Introduction to the Talmud and Midrash, Jewish Publication Society, 1945. pp. 11–12. "[The Oral Law] was handed down by word of mouth during a long period...The first attempts to write down the traditional matter, there is reason to believe, date from the first half of the second post-Christian century." Strack theorizes that the growth of a Christian canon (the New Testament) was a factor that influenced the Rabbis to record the oral law in writing. ↑ See, for example, Grayzel, A History of the Jews, Penguin Books, 1984, p. 193.